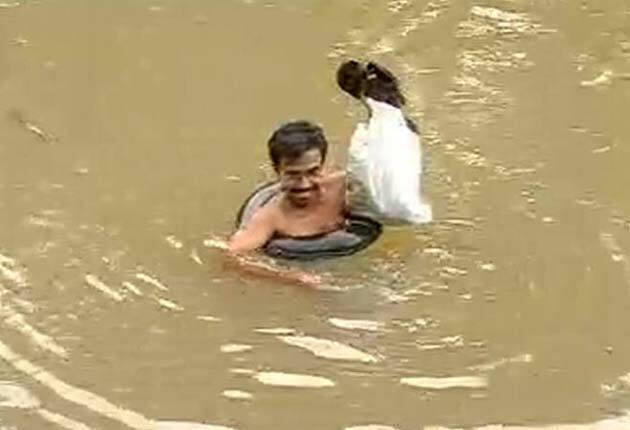 Malappuram: At 9 am on a weekday, Abdul Mallik is busy wading through neck-high water, a tyre-tube around his waist, his tiffin box and shoes held in one hand above the muddy river. It's hardly the average morning commute, 40-year-old Abdul Mallik, a primary teacher, wades through neck-high water everyday to reach his school! This is what it takes Mr Mallik to get to the primary school where he has been employed for 20 years in a village in the Malappuram district of Kerala. "If I go by road, it takes me three hours to cover the 12-kilometre distance, but swimming through the river is easier, faster and I reach school on time," he says, after he emerges from the river 15 minutes later. He changes into a dry set of clothes on the river bank, and then treks uphill for 10 minutes before he reaches school. An average salary for government teachers like him is around Rs 25,000. The compensation, he says, lies elsewhere. As he arrives at his classroom, a bunch of excited students surround him with their offerings of cards and letters for Teacher's Day. A seven-year old student, Jahangir, smiles shyly when asked what he wants to be when he grows up. "Like Mallik Master," he says.